Anglers of all ages and experience levels only have great things to say about Pensacola, with some even rating it as Florida's very best fishing location. 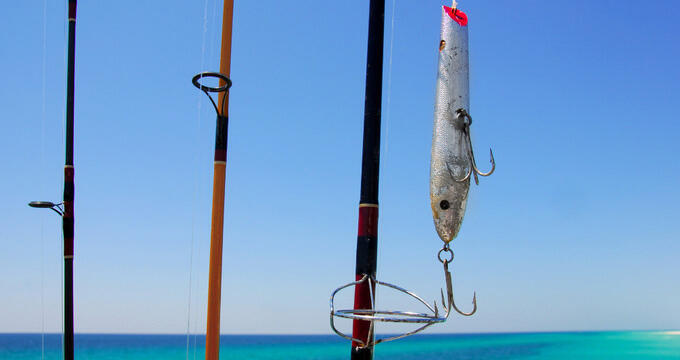 Whether you're looking to catch inshore fish like spotted sea trout, flounder, or sheepshead, or larger offshore game like amberjack, red snapper, king mackerel, and others, you'll find Pensacola to be a great spot too, and there are plenty of top fishing charters and guides operating in the area. With over 340 days of sunshine per year and so many different species of fish to catch, Pensacola is a genuine paradise for anglers. Here are some details on a few of the most highly prized species of fish to catch in this region. Red Snapper - One of the most commonly-caught fish in all of Florida, Red Snapper tend to be even more numerous and easy to catch at Pensacola than in other fishing locations around the state. The average catch can weigh around 20 pounds, but the state record is over 46. These fish are most commonly caught offshore but can sometimes be found at inshore locations with deep waters too, and the best time to nab some red snapper is through summer and fall. King mackerel - These can be caught from Pensacola's fishing piers and other inshore and near-shore locations. They weigh around two dozen pounds on average but can grow much larger, with the state record being around 90 pounds. These fish migrate from the warmer southern waters of Florida up to the Pensacola area in spring and are commonly caught in May, June, and July. Spotted Sea Trout - Frequently caught around Pensacola, these fish are one of the top targets for inshore fishing sessions as they tend to like swimming around grassy, sandy areas near the shore, especially during the spring. They tend to head out to deeper waters during the summer and can measure up at 20+ inches. Red Drum - Also known as red fish, thousands of these fish can be found swimming in schools around the Gulf of Mexico off Pensacola. They spend much of their time near the coast and spawn in the fall. Relatively easy to catch, red drum are a popular target for Pensacola fishing charters, and bull red drum can sometimes measure 30+ inches. Cobia- Caught both inshore and offshore, Cobia can weigh 30+ pounds, with the state record being over 100 pounds. They spawn in spring and are most commonly caught around May and June. Various fishing charters and guides can be hired around Pensacola, with a wide array of tours available for anglers of all ages and ability levels. Here are a few of the top rated fishing charters at Pensacola. Offering some of the best value fishing tours in the Pensacola area, Redfish University targets red drum, but also trout, pompano, flounder and others. As the 'University' part of the name suggests, this company aims to teach anglers how to improve their technique and you'll definitely finish your tour feeling like a better fisherman. The crew provide all equipment, as well as teaching you countless secrets of inshore angling that will stay with you forever. With countless 5-star reviews from many happy customers, Angler Up Charters is one of the top names to trust in the Pensacola area. Run by Captain Brant, who grew up in Pensacola and is one of the friendliest, most talented fishing guides in the area, these tours offer great value and plenty of chances to land some big fish including speckled trout, red fish, king mackerel, gag grouper, and others. For fishing addicts of all ages and experience levels, Can't Quit Fishin' is another excellent Pensacola fishing charter. These family-friend tours provide both inshore and deep sea fishing options around Pensacola Beach and the surrounding area, guaranteeing a great time for all and plenty of happy memories. For speckled trout, flounder, red fish, and other species, this is a great charter to choose.